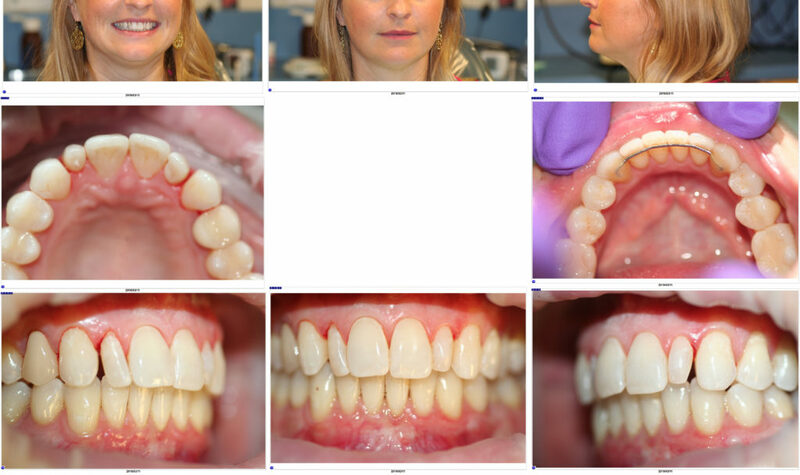 In 2011, we completed composite bonding on the patient’s peg laterals. A peg lateral is a tooth that naturally is smaller due to a genetic variation. Peg laterals or even missing laterals (Tooth #7 and #10) are very common. So, patients with peg laterals or missing laterals are often looking for a solution. 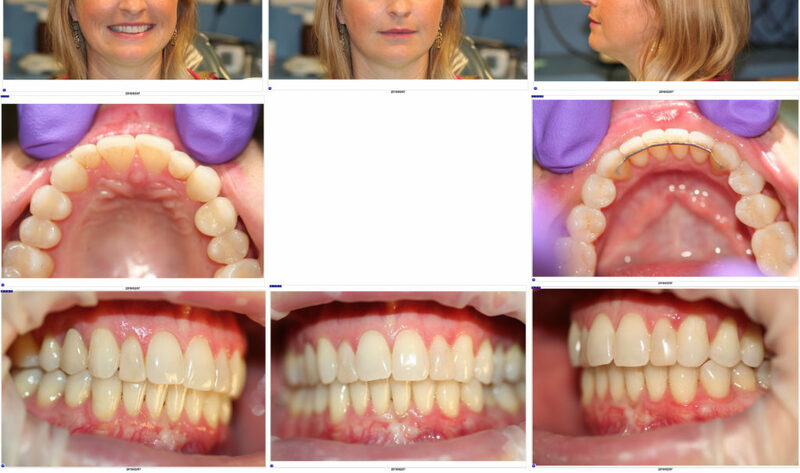 Minimal Prep or No Prep Veneers can work very well on a case like this, so, for this case we used Lumineers with a guided minimal prep. Photo from 2/7/2019 showing composite bonding (completed 2011) on the laterals. Photo from 2/7/2019 showing the peg laterals with the composite bonding removed. 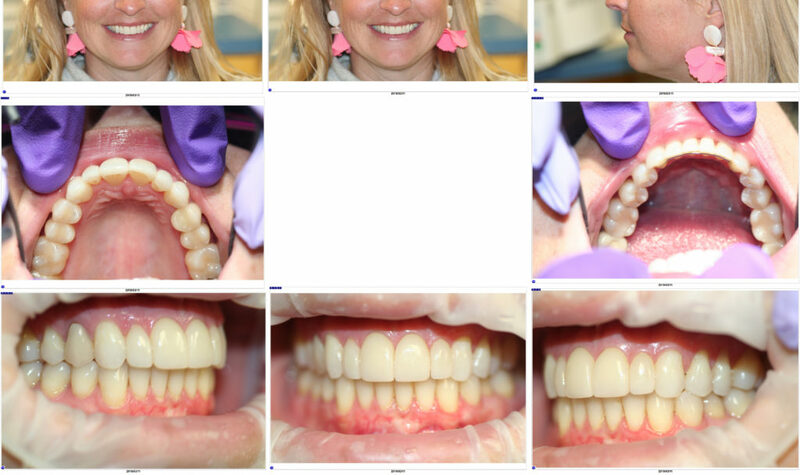 Photo from 3/7/2019 case follow-up, after seating the porcelain veneers on 2/26/2019, then, letting the gums heal before the final photos were made. This case shows how attention to detail and communication with patients is very important. My patient expressed her growing dislike for the composite bonding and we have been discussing the idea of bumping up to porcelain veneers for the past 8 years. While we were discussing fixing the laterals, the patient expressed that the central teeth were rotated and the patient wanted to know if we could fix that. We fixed the rotations and improved the overall look of the peg laterals. This case shows a major upgrade for a well-deserving patient, whom has been thinking about doing this for a long time. In this case we used Lumineers ‘030’ with ‘B1’ shading to add warmth in the neck. We used the A.R.T. technique, which is promoted through DenMat Laboratory, which allows a patient to see a “Trial Smile” version of their teeth before we prep and allows prepping the teeth to be done with the minimum reduction necessary using a reduction guide.